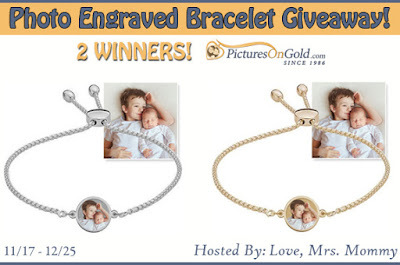 A Beautiful Photo Engraved Bracelet from PicturesOnGold. com worth $69.95! Open To US and must be 18+ to enter Giveaway Dates ~ 11/17 9:00 AM EST through 12/25 11:59PM EST Good Luck! !